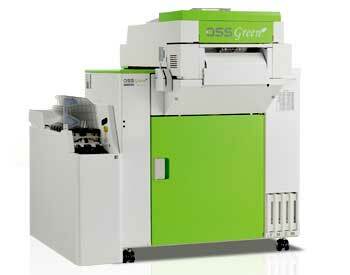 The QSS Green is the latest in our innovative Inkjet dry minilab systems - Powerful, Versatile, and Compact. Poised to become the new de-facto standard model for the photofinishing industry. The QSS green is built to handle situations of any kind: independent shops, photo studios, camera stores and pro-labs. In addition to all features that have made the QSS brand so popular, the QSS Green raises the bar in terms of environmental friendliness and print varieties. The Green has an amazing 69.2" paper advance length and the ability to change the print stage height at will: set to provide a vast printing options. - The fastest printing machine at 1440dpi resolution of all paper sizes, comparing to similar size in the market! - Increase value-added products offering, such as photobooks, greeting cards, calendars, posters, etc.